Sometimes we envision homeschool mom's as having it all together and being like a Super Mom! Well I am not, and I can wager a bet that there aren't too many who are. 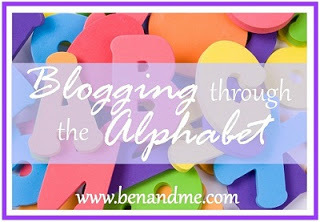 I have so loved this Blogging through the Alphabet series so far. I did however fall behind, amazing I know! I didn't get a photo but we did manage to buy some containers and herb seeds to plant. I still have high hopes that we will get those done soon! I got as far as getting a couple books from the library and we had a J is for jelly fish workbook page. But rather than try to cram those all in, I am jumping back in with both feet to the letter K and using it as an opportunity to Keep it Real. We do get behind, we do have great ideas and have trouble keeping up or following through. The great thing is, we can jump right back in there where we are. God's mercy is new every morning and we don't have to feel overwhelmed with things in life; the big or the small... like blogging through the alphabet. We are shifting gears for L, and focusing on our graduating senior as this week enfolds. We are planning the big party and I need to be able to combine efforts. I love to work the week ahead so I am done with the letter on the monday it starts. So here is to L week! !